We work with 99% of the serviced and flexible office providers in all locations globally and our services are FREE, always. Serviced offices are available for requirements of just 1 desk up to 100+. Serviced office space provides an all-inclusive rental solution with services tailored to your bespoke requirements. Flexible occupational terms from just 3 months with easy-in and easy-out agreements. Please Get in Touch to let us know how we can assist you in finding the perfect serviced office. We are regulated by the Royal Institution of Chartered Surveyors (RICS) so property professionalism is at our core. Our office space advisory services are FREE, always. A serviced office is a private office that is offered on flexible terms, usually on a licence basis, with overheads included in the monthly rental. Office space is rented by a serviced office provider that then divides the space up into separate suites that range in size from 1 desk to space for 100+ desks. Serviced offices are often described as ‘plug-and-play’ or ‘ready-to-go’ as they are usually available for instant occupation with all services and infrastructure already installed. Serviced offices were first incepted in the 1980s as a solution for travelling business people requiring business premises whilst away from their company’s offices, and have evolved and increased in popularity – they are now used across all sectors by businesses of all sizes including startups, SMEs and multinational corporations. 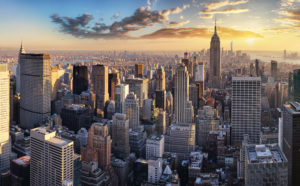 The serviced office market saw double-digit growth across many global territories in 2018. In the UK, serviced office providers accounted for 19% of the Central London office space take-up in 2018. Why are Serviced Offices so Popular? Serviced offices offer levels of flexibility that traditional models cannot. 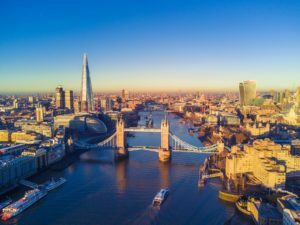 Whilst the serviced market is mature, it is constantly evolving and serviced office space can now be found in most locations ranging from fringe to prime, for instance, The Shard in London, and Wall Street. Serviced offices have always been popular as a temporary office space or ‘swing-space’ solution – providing a stop gap between more permanent leased offices, as an economical way of testing a geographic location before committing to a more permanent solution, and as project space for short-term or confidential projects. However, more and more businesses of various sizes from a variety of sectors are making serviced offices their first and long-term choices. One of the reasons for this growing popularity is due to economic uncertainty – since the Great Recession, businesses have increasingly valued flexibility in all aspects of their business model, particularly in their real estate solutions. Serviced offices have always been popular with entrepreneurs and startups due to their low ‘red-tape’, the all-inclusive nature, and the ability to upsize efficiently. Due to a growth in entrepreneurial trends – self-employment, the gig economy and startups – there is a consistent and growing demand from this sector. Moving forward, the introduction of the new accountancy standards in January 2019 – the International Financial Reporting Standard 16 (IFRS 16) may encourage larger companies to adopt shorter leases or licences. Before IFRS 16, office space leases were often reported under operating expenses. However, the new standard requires these to be reported as amortisation and interest which will have an effect on the financial performance reporting of a company. Assets and liabilities of a term of more than one year will need to be recorded on a balance sheet and this may be unfavourable to certain businesses particularly if seeking investment, for instance. For this reason, occupiers may seek out more flexible lease terms to manage the impact on their balance sheets and their financial statement accounting ratios. This may lead to more and more tenants looking to re-gear their longer leases into shorter leases, or they may seek out the type of short-term licence that serviced offices provide. Historically, there has been a misconception that serviced offices cost more than traditional models. This is correct on a purely cost per square foot basis, however serviced offices allow for businesses to rent deskspace for a set number of employees and not for meeting rooms, breakout areas, reception space, kitchen areas and so forth, as these are shared, so the net internal area rented by a business is lower than it would be with traditional space. Also, as the monthly serviced office fee is all-inclusive so covers electricity, WiFi, furnishings, reception services, cleaning and so on, both CapEx in terms of fit-out and equipment, and OpEx are reduced significantly. Serviced offices fees track leasehold office rents as a base so they vary from location-to-location and their situation within a location – are they located in an out-of-town business park or within a central business district, for instance. The quality of a building has an influence too so the cabling and other areas of the infrastructure have a bearing, as well as services and amenities of the building and of the immediate locale. The service pack influences the costing also – many office providers offer a range of optional services such as call-handling and other secretarial services which means costs vary. The individual deal struck also has a bearing – whilst covenant strength is rarely a factor, the amount of space taken and the term of occupation are terms that can influence the fee negotiated. As a guide, using the UK as an example, a serviced office in Mayfair London in 2019 costs somewhere between £800 and £1600 per desk per month, Manchester from around £250 to £500 per desk per month, and Sheffield from £150 to £250 per desk per month. If you have any questions regarding serviced offices or require assistance in your search for serviced offices, please Get in Touch and we’d be happy to help. We are regulated by the Royal Institution of Chartered Surveyors (RICS) so property professionalism is at our core. We also work with 99% of the serviced office providers globally, and our services are FREE, always. What are the features of a serviced office? 2. Office Space In Birmingham. We provide serviced offices across London covering locations such as Hammersmith, Kings Cross, Pall Mall, flexible offices in Euston, the City, the West End, Canary Wharf, and all other districts and boroughs. 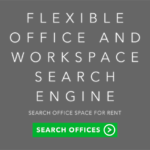 Please Contact Us to let us know how we can assist in finding the perfect serviced office to rent.